Iran as the biggest bitumen supplier in Middle East export 1.5 million MT bitumen annually that make the revenue on 500 million dollars. Iran produces 6.5 million MT bitumen per year which 4 million Mt of this quantity is exportable”. said Amir Hussein Arya. 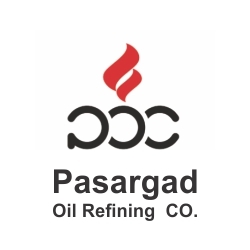 “Pasargad oil company and jey oil as two major bitumen suppliers related to government export 1.5 million MT bitumen per year to Asia, Europe, Africa mostly Persian Gulf states, Pakistan, Afghanistan, china, Malaysia and Singapore. we have bitumen production line in Tehran, Bandar Abbas, Isfahan, Abadan, shiraz, Tabriz and Arak, and Iran as few countries capable of producing all kinds of bitumen in the world such as industrial bitumen ,road bitumen ,cutback bitumen and bitumen mulch which is exported by Bandar Abbas and Bushehr ports each of them with capacity of 15000 MT “,he reiterated . He also said: due to Chabahar port capacity for exporting bitumen and also the strategic position along with the vicinity to international business paths ,we expect to bitumen price would decrease dramatically .